Be a tourist in your own town for a night. 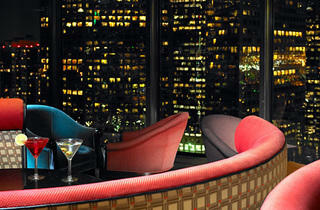 Past the lobby bar and up on the 34th floor, Downtown’s Bonaventure hotel is home to the famous Bona Vista Lounge. Sure, it’s a little cheesy—moderately-priced, classic cocktails are served in souvenir glasses—but it is a fun, classic LA thing to do. 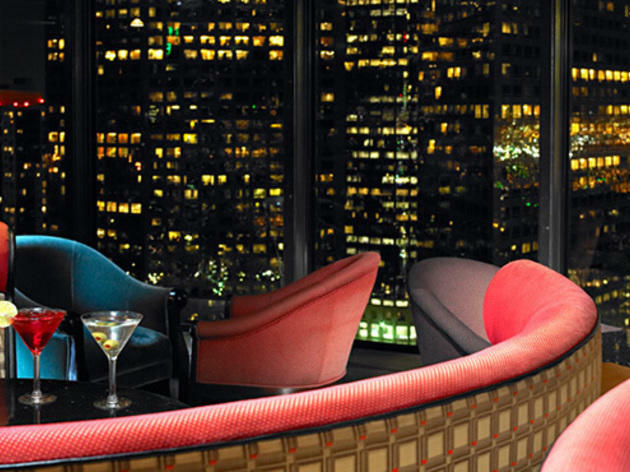 And the bar doesn't offer just regular, sky-high views—the lounge rotates, the better to take in all of Downtown's night views. If you're playing tour guide for family in town or looking for a unique place for celebratory drinks, the Bona Vista Lounge is a great place to have on your radar. The rotating bar offers a special look at the city, and the classic feel of the bar/restaurant will definitely make you feel retro & elegant. It's definitely pricey, but the drinks are strong and the cost is to be expected with a place like this. If you've never been before, it's a fun place for a different kind of night out & to enjoy the view, the drinks, your company, and the free chex mix they give you when you order a cocktail. This is a great place to step back in time, get a little drunk and see great views of Downtown. My friend Ben and I once made a pact that we would sit in the lounge drinking White Russians until the bar had rotated a full 360 degrees. Let me tell you, friends, the bar rotates VERY SLOWLY. We ate some complimentary snacks, discussed the physics of the moving room, commented on our glacial pace and pretty view, and then proceeded to get very, very wasted before the bar had even gone halfway around. I'm proud to say we were not asked to leave, but stumbled out of our own accord complaining that they should speed things up up there. Classy moves in a classy place.